Eighteen sixty was a year of mixed feelings of hope and fear. Americans had hope for the future, because they would be electing a new president. But they had fear that even a new president could not hold the nation together. The states of the South were very close to leaving the Union over the issue of slavery. This week in our series, Tony Riggs and Frank Oliver talk about the candidates and the issues in the election of eighteen sixty. After four years as president, James Buchanan decided not to run again. Buchanan was a Democrat. His party, like the nation, was split over slavery. Southern Democrats wanted the party to support slavery. Northern Democrats refused. The opposition Republican Party expected to gain votes from dissatisfied Democrats. Republicans had become stronger since the last presidential election in eighteen fifty-six. They felt their candidate would win in eighteen sixty. The Democratic nominating convention opened in April in Charleston, South Carolina. 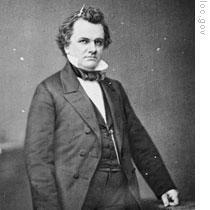 Senator Stephen Douglas of Illinois was the leading candidate. He had the support of a majority of convention delegates. But he did not have the two-thirds majority needed to win the nomination. Many Southern Democrats did not like Stephen Douglas. Some did not trust him. Others did not accept his policies on slavery. Douglas did not oppose slavery or the spread of slavery. However, he said no federal law could make slavery legal in a territory where the people did not want it. This was his policy of "popular sovereignty." The Southern Democrats who opposed Stephen Douglas were led by William Yancey of Alabama. Yancey wanted to get a pro-slavery statement into the party's platform. He was sure Douglas would not accept the nomination based on such a platform. If Yancey failed to get the statement he wanted, he would take Southern Democrats out of the convention. And out of the party. The committee on resolutions considered three platforms. One platform declared that the people of a territory had the right to decide if slavery would be legal or illegal. The second declared that the Supreme Court had that right. And the third declared that no one did -- that slavery was legal everywhere. William Yancey spoke to the convention in support of the pro-slavery platform. He said pro-slavery Democrats did not want to destroy the union. But he said someone had to make clear to anti-slavery Democrats that the union would be dissolved if the constitutional rights of slave owners were not honored. Yancey spoke of the danger of a great slave rebellion. He described it as a sleeping volcano that threatened the lives, property, and honor of the people of the South. He said the actions of the North might cause that volcano to explode. Another convention delegate answered Yancey's speech. He said Northern Democrats were tired of defending the interests of the South. "Now," he said, "Yancey tells us we must agree that slavery is right. He orders us to hide our faces and eat dirt. Gentlemen of the South," he said, "you mistake us. We will not do it!" In this atmosphere of tension, it was clear that a pro-slavery platform would not be approved. The Alabama delegation announced that, therefore, it must withdraw. The delegations from the other six states of the Deep South -- Arkansas, Florida, Georgia, Louisiana, Mississippi, and Texas -- did the same. Those fifty men organized their own convention. They approved a pro-slavery platform, but did not nominate anyone for president. They agreed to meet again a few weeks later in Richmond, Virginia. The Northern Democrats postponed their nomination, too. They agreed to meet again in Baltimore, Maryland. The Republican Party held its presidential nominating convention in Chicago, Illinois. There was no question who was the leading candidate. 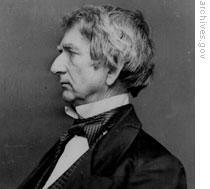 He was the best-known Republican in the country at that time: Senator William Seward of New York. The Republican platform seemed to contain something for everyone. For those opposed to slavery, the platform rejected the idea that slave owners had a constitutional right to take slaves into new territories. For foreign-born Americans, it supported their right to full citizenship. For manufacturers, it proposed a new tax on imports to protect American industry. And for those in the northwest, it called for free land for settlers, and federal aid to build roads and canals. Delegates approved the platform with loud cheers. They would return the next day to nominate their candidate for president. William Seward was sure he would win the nomination. If not on the first vote, he thought, then on the second. But there was some opposition to Seward. And his campaign organization failed to see its strength. 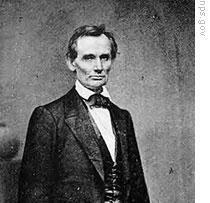 The candidate of the opposition was Abraham Lincoln. The Republican convention voted three times. Lincoln gained support on each ballot. But neither he nor Seward received enough votes for the nomination. Then, before a fourth vote could be taken, a delegate from Ohio asked to speak. The big room became silent. "Mister chairman," he said, "I rise to announce the change of four votes of Ohio to Mister Lincoln." That was enough to give Abraham Lincoln the Republican nomination for president. One month later, the Democrats re-opened their nominating convention. Most of the Southern Democrats who walked out of the first meeting came back. Many of their seats at the convention had been given to new delegates. So a new dispute arose over which delegates had the right to be there. A compromise plan split the seats between old and new delegates. But most of the Southerners rejected it. One by one, a majority of each Southern delegation walked out. The remaining Democrats then voted for a candidate. They chose Stephen Douglas. 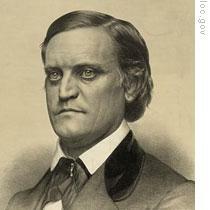 Southern Democrats nominated their own candidate, John Breckinridge of Kentucky. And a group called the Constitutional Union Party nominated John Bell. The election campaign opened in the summer of eighteen sixty. Lincoln was not well-known. So the Republican Party published many books and pamphlets about him. They told the story of a poor farm boy who educated himself and, through hard work and honesty, had become a candidate for president. Lincoln's supporters organized a loud and colorful campaign, complete with marching bands and signs. Lincoln himself was silent. He said, "It has been my decision since becoming a candidate to make no speeches. I am here only to see you and to let you see me. " In fact, it was Lincoln's assistants who had advised him to say nothing. They believed he had said enough in the past to make clear his position on the important issues. Stephen Douglas, on the other hand, campaigned very hard. His health was poor. And he had trouble getting money. But that did not stop him from speaking in almost every state. Within a few weeks, however, Douglas recognized that he had no real hope of winning. His position on slavery had cost him all support in the South. Douglas believed that, of the other candidates, Abraham Lincoln had the best chance of winning the presidential election. He also believed pro-slavery extremists would use Lincoln's election as an excuse to take Southern states out of the union. So he turned his efforts to a campaign for the union itself. He said, "The election of a man to the presidency by the American people, under the Constitution, is no reason for any attempt to dissolve this glorious nation." Election day was November sixth. The popular vote was close between Lincoln and Douglas. But the electoral vote was not. Lincoln received one hundred eighty. Breckinridge received seventy-two. Bell received thirty-nine. And Douglas received just twelve. Abraham Lincoln would be the new president of the United States. He would enter office facing the most serious crisis in American history. For, before his inauguration, southern states finally acted on their threats. They began to leave the union. Our program was written by Frank Beardsley. The narrators were Tony Riggs and Frank Oliver. Transcripts, MP3s and podcasts of our programs are online, along with historical images, at www.unsv.com. Join us again next week for THE MAKING OF A NATION - an American history series in VOA Special English. the campaign is estremly strongly about the election of president in 1860,finally Licon won .